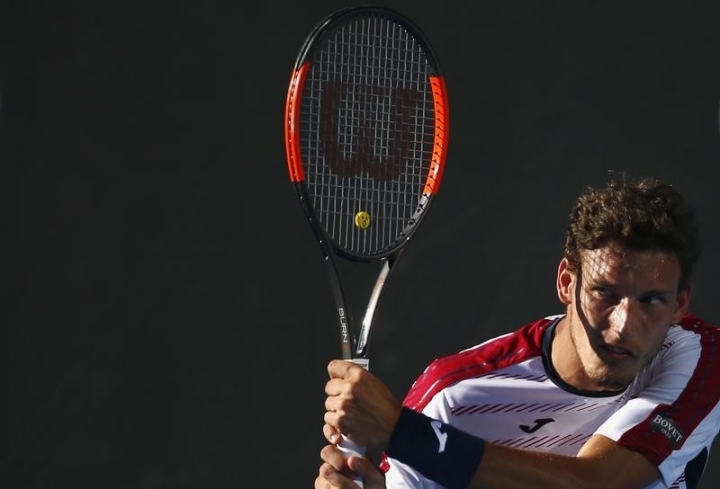 RIO DE JANEIRO (Reuters) - Spaniard Pablo Carreno Busta came from a set down to beat Norwegian teenager Casper Ruud 2-6 7-5 6-0 and reach the final of the Rio Open on Saturday. Wildcard Ruud, playing in his maiden ATP semi-final at the age of 18, broke his opponent twice to win the opener but Carreno Busta battled back to level up the match in a topsy-turvy second set before easing through the decider 6-0. The world number 24 will face Dominic Thiem in Sunday's final after the Austrian second seed, who has yet to lose a set in the tournament, stormed past Albert Ramos-Vinolas 6-1 6-4 in the other semi. Spaniard Ramos-Vinolas briefly looked like he might muster a comeback when he broke serve to level the scores at 4-4 in the second but Thiem, the world number eight, broke back before serving out for the match.